I am an introvert. My daughter is not. She is the only extrovert in the house. She thrives on being with other people so we have had to work on finding a balance with her and her activities along with my need for peace at home to recollect myself. As an introvert the first thing I must do when presented with an activity opportunity is remember that less is more. I can't say yes to everything because I would get overwhelmed quickly. First, I have to prayerfully discern what our family should do. I ask myself and my children the following questions. How much stress will it add? Is God calling you to do it or pushing you from it? I have had both good and bad experiences with co-ops in my homeschool career. In my opinon, co-ops are entirely optional. I do not need to do them for academic purposes. They are bonus opportunities for the kids to be with friends and learn in a classroom environment. They are also a way to check off the "socialization" box for family that side-eyes your homeschool. The important thing about co-ops is to know the families that are involved and to be on the same page as everyone else. I prefer small co-ops because I like the community. I need to have time to socialize with my friends just as much as my kids! After co-op in the morning, I call the rest of the day off. 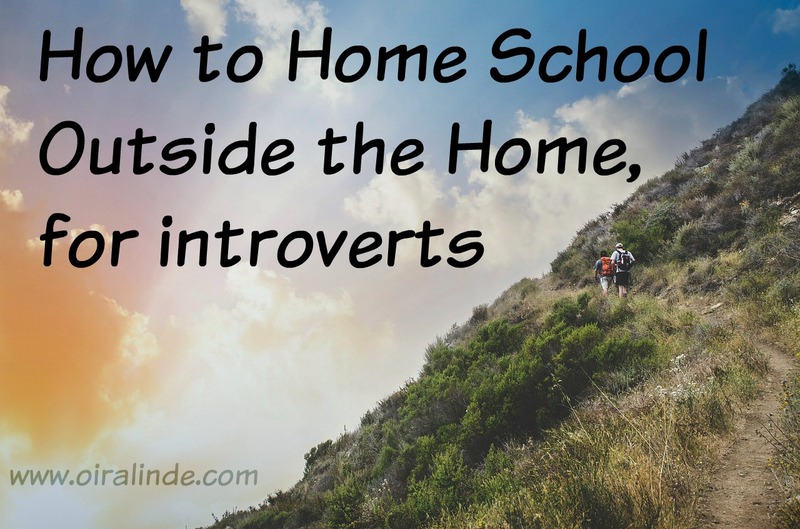 We don't do any more homeschool and we tend to go home and take naps to recover. My daughter could easily overwhelm me with music lessons, cheerleading, soccer, dance..... Currently both my son and daughter are taking karate. Kaelyn is additionally doing voice, violin, piano, and dance. She takes voice and piano lessons back-to-back and I teach her violin myself. Dance is a little bit of a pain, but I hate to make her stop it when she loves it so much. We did tell her NO MORE. She saw cheerleaders and soccer players and wanted to join both teams but we have to keep her from getting over-involved for our own sake. As she gets older she will probably have to make some difficult decisions and choose what to focus on, but for now she is enjoying being exposed to various things. My kids love field trips. I also love them because it is a day of school that I don't have to teach! Last year we only went on a couple field trips the entire year because we had a new baby and then we got a new puppy. It was a crazy year and we didn't have the time to plan and implement field trips. This year we are scheduling two to three field trips a month. When I plan field trips I try to make them correspond to something we are learning about. When we study the Civil War this year we will be taking a trip to Gettysburg. When we are learning about the Revolutionary War we will travel to Philadelphia to visit the new Revolutionary War museum. When we do a study on animals we will go to a zoo. Not all the kids are learning the same things, so not every field trip will be tailored to their work but that is the beauty of it. They will still learn on the field trips whether or not they are actively learning about it at home. In order to make it easier on me, the introverted homeschool mom that I am, I plan field trips carefully. It is isn't on a co-op week and it is never planned on a day that we have any other obligations. Our schedule can be a little crazy, but as long as there are a couple days a week we don't have anywhere to go, we manage. We tend to schedule all errands on Friday and at least one day of the weekend I try to keep calm so that we can be rejuvenated for the week ahead. If you want some more tips for the introverted homeschool mom, please check out my list of five important tips to make your homeschool smoother. If you want some ideas for recharge time, check out what I like to do to recharge!